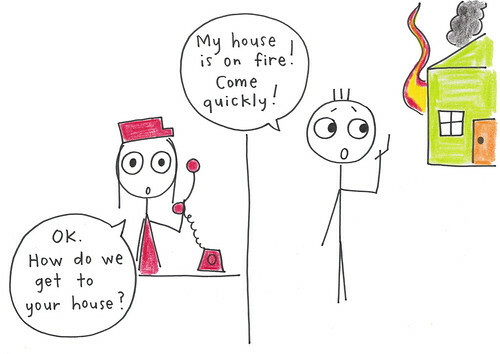 "My house is on fire! Come quickly! OK. How do we get to your house? 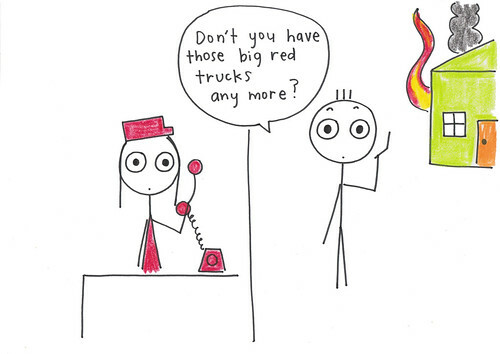 Don’t you have those big red trucks any more?" From Friday Joke on show 1159.